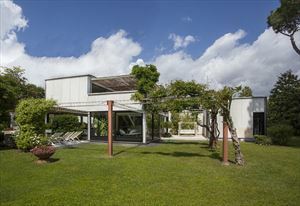 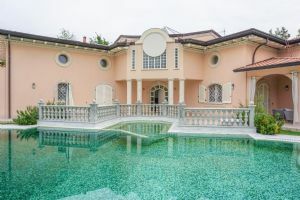 Outside there is a large veranda equipped with garden furniture and dining table that surrounds the house on two sides and a garage with alarm system. 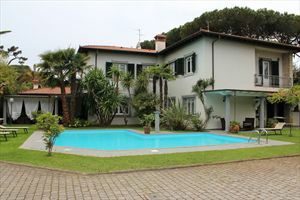 The ground floor comprises an entrance hall, living room with dining table attached to a kitchen with double access, even to the veranda, a double bedroom, a bathroom with shower and a room used as a study. 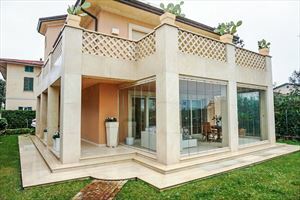 The first floor consists of a double bedroom with balcony and exclusive service with shower, a double bedroom with private balcony, bathroom with shower and a single bedroom with private balcony. 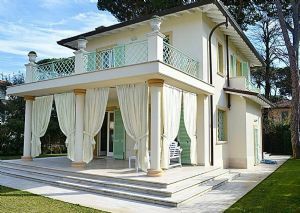 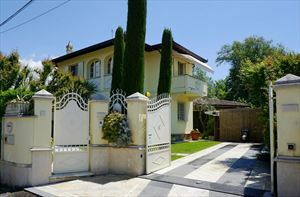 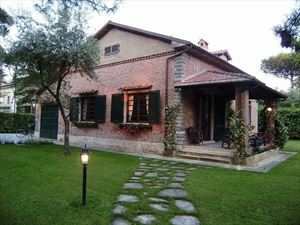 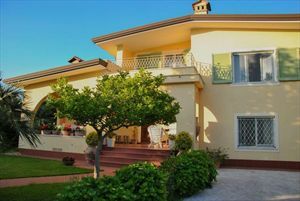 The Villa is also equipped with alarm system, electric gate, car parking and Wi-Fi connection.